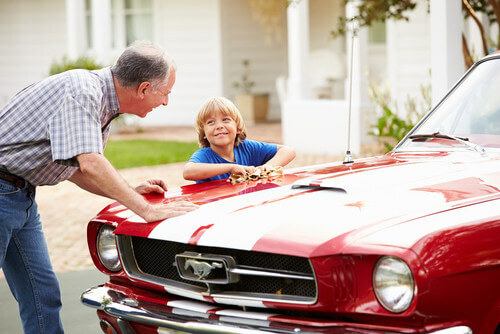 At Nationwide Auto Transportation, we understand that your classic car is your baby. Whether you bought it from an auction, or put in countless hours to restore it to its former glory, it’s one of your most prized possessions. That’s why, whether we’re shipping your classic car to a car show, a tradeshow event, or to a specialist repair center, we go the extra mile to make sure it’s done right with our white-glove auto show shipping service. While classic car shows present great opportunities to show off your baby, you may not necessarily want to drive it across great distances. Firstly, many older cars are less fuel economic, and you also don’t want to burn the engine by driving too fast. That means that you may have to book more overnight stops than you would like to make. The cost of traveling, plus the time it takes to cover long distances are not the only issues. On top of that, you have the risk of accidents and the wear and tear that many piles put one your car. It’s just not worth it! Instead, consider shipping your car with a reputable auto shipping company. When it comes to shipping classic vehicles, you want to know that you can trust the company that’s shipping it. You want to know that they will take the very best care of your car during the shipping process. Whether you’re shipping your car to the NY car show, Los Angeles auto show or even the Greensboro classic car auction, you want your car to arrive in pristine condition. That’s why you should keep the following points in mind when choosing an auto show shipping company. Perhaps you’re not attending an auto show, but simply want to bring the classic car you just bought from home. Nationwide Auto Transportation can help. You can save a lot of time by detailing your car before you ship it to the car show. However, since the weather is often unpredictable, it’s best to ship your car using enclosed car transportation. You don’t want your polish to be dulled by snow, sleet, hail or rain. Likewise, the sand and salt can cause corrosion of your precious original paint, while the sun can cause the paint to fade. Enclosed car shipping will ensure that your car looks perfectly pristine at the car show by protecting it from road debris, the weather and prying eyes. While the risk of damage to your vehicle is minimal, it’s still important to make sure the transportation company carries insurance. Transporters are highly experienced and reliable, but accidents happen, whether you’re driving your car, or they are transporting it. You want to be sure that the company is insured in the unlikely event of any damage. Open car carriers have to be insured for a minimum of $150,000, while enclosed carriers require a minimum of $250,000. Classic car transport specialists usually have coverage that ranges between $500,000 to a few million USD. When you work through a broker such as Nationwide Auto Transportation, you have the added benefit of the broker’s insurance as well. It’s a good idea to inquire about the available insurance, and to check with your own insurer as well. You want to ensure that the company you work with is a reputable. All auto transportation companies must be registered and approved and must carry an MC number from the Federal Motor Carriers Safety Association and an USDOT number from the Department of Transport. It’s a good idea to check on the company’s reputation too, before you book your car show transport service. Be sure to read their customer reviews on Yelp and Google Business, and see how they rate on the Better Business Bureau website. An A+ rating is just perfect! 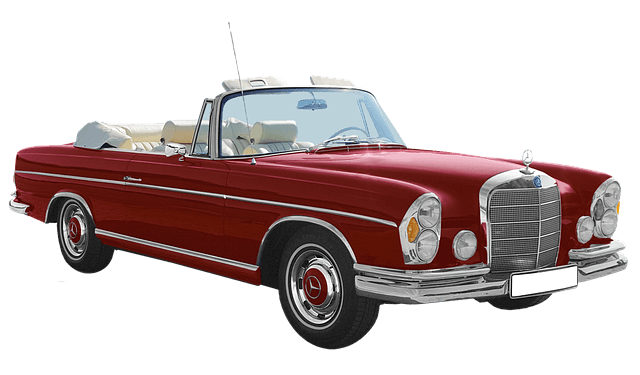 The condition of your vehicle is an important consideration when it comes to shipping your classic car, as that determines how the car is loaded onto the truck. It is important to let us know the exact condition of your car so that we can arrange the appropriate equipment. If your classic car still drives, it can be driven onto the truck. If it steers and brakes, it can be pushed onto the truck. If the battery is dead, it will have to be jump started. However, if your car doesn’t start due to mechanical issues, the carrier will have to use a winch to slowly and carefully roll the car onto the trailer. In rare cases, transporters may use a forklift to lift the car onto the truck. This should only be done if there are wooden blocks or a wheel lift attachment underneath the car. The blocks will protect the car’s metal against damage from the forklift. Heavily rusted vehicles and project cars are often lifted in this way. Of course, you don’t want to pay an arm and a leg for your car show transport. Enclosed transportation typically costs more than open car carriers, but you’re still able to find reasonable rates. While open car shipping is not the top choice for people who wish to transport pristine classic cars, it is as much as forty percent cheaper, and the risks are very small. Why don’t you put Nationwide Auto Transportation to the test! Fill out our online car shipping calculator form now to get a quote from us to take your car to the next show. Nationwide Auto Transportation uses a highly sophisticated car shipping calculator to determine your rate. Our calculator fetches the latest data from reliable sources, and uses that to calculate a fair rate. The average cost to ship a classic car, depending on the above variables, could range from $525-$3,000. There’s typically a drop in the per-mile charge when the distance of transportation exceeds a thousand miles. Can I ship a car to Europe from USA? Do you want to attend a British car show? Showing off your precious car to an international market is an incredible privilege and certainly possible. Nationwide Auto Transportation can arrange shipping from your home to the appropriate international air or sea port from where you can arrange international shipping, depending on the type of transport you selected. Roll-on roll-off transport is a popular choice for people attending international auto shows. You will also have to arrange auto transportation from the overseas port to the location of the auto show once your car arrives there. Remove any personal belongings from your car. Double check the trunk and the passenger compartment. While you could make an arrangement with the auto shipping company to ship up to 100lbs of personal items in the car, it is best not to ship valuables (such as electronics, car audio systems, navigational aids, or removable emblems), as these goods will not be insured. Go for a long drive to reduce your fuel tank to a quarter full. Being low on fuel is a good thing when you’re shipping your vehicle, because it reduces the load significantly. A quarter tank is just enough to load and unload your car, and to reach the nearest filling station. If there are any leaks or lingering mechanical problems, it is important to deal with them prior to the collection date. A leak could cause damage to the paint on your car or one of the other vehicles that are being transported. Wash the car from top to bottom and clean it inside out. This will enable you to spot any dents, scratches and marks hidden by dust or grime. A decent wash will also save you time, as the car will already be clean when it arrives at its destination, especially if you use enclosed auto transport. It’s always important to document the condition of your vehicle prior to shipping, but even more so when you are moving your classic automobile to a car show. Since you expect your car to arrive in the same pristine condition in which you hand it to the carrier, it’s up to you to document its condition beforehand. Take photos of your car from all angles and if there’s any damage, be sure to document that. These photos will be invaluable in identifying any damage sustained in transit. The carrier will ask you to sign a condition report before your vehicle is loaded onto the truck. Read the document carefully to ensure it accurately reflects your car’s condition. When your vehicle is delivered, it should be closely inspected before the Bill of Lading is signed and accepted. Any damage should be noted on the Bill of Lading, and you should contact the auto shipping immediately. The chances of damage are minimal, especially when you deal with a company that is an expert in shipping exotic vehicles, antiques, or classic cars. From GoodGuys car show to Chicago car show and SEMA car show to any other destination around the continental USA, Nationwide Auto Transportation can assist. We have been moving vehicles to car shows for more than 15 years, including classic cars, hot rods, antique cars and exotic sports cars. We offer free quotes on car show shipping. Simply head to our quotes page and fill in your details. We will get right back to you with a quote. When shipping your classic car with Nationwide Auto Transportation, rest assured that your car will be protected at all times. We will find a carrier who has a minimum of five years of experience in moving classic cars, and that is equipped with a lift gate to make loading and unloading easy. 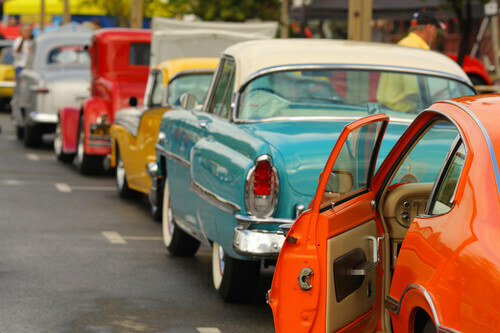 Our car show transport carriers use the latest in security and safety equipment technology, and their insurance policies cover the full value of the vehicles they carry at all times.